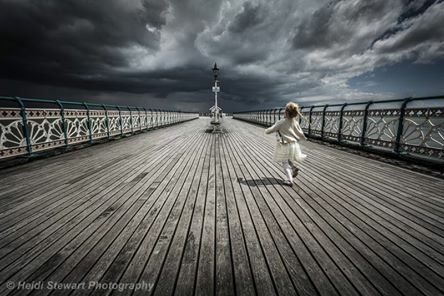 Gwynfa finished third in the 2015 Memorial Trophy competition hosted by New Quay CC and Heidi Stewart was awarded 20 marks and ‘Best Colour Print‘ for her 2014 Gwynfa Picture of the Year ‘Storm Chaser‘. Steve Littlewood also got 20 points for his print entitled ‘Winter Storm. ‘Number One’ by Adrian Lant scored 16 and ‘Female Azure Damselfly’ by Linda Beynon scored 17. Well done everyone. The competition was won by The Inn Focus Group. In second place was Bridgend & District Camera Club and fourth was Tenby Camera Club. Twenty two clubs took part and the judge was Margaret Salisbury. More details when the organisers provide them.